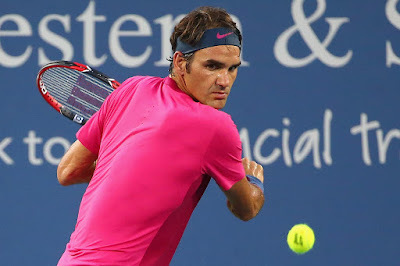 Roger Federer got off to a winning start in his Western & Southern Open title defence, downing Roberto Bautista Agut 6-4, 6-4 on Tuesday evening. Federer made his first serves count in winning 95 per cent of such points, despite serving at just 43 per cent for the match. 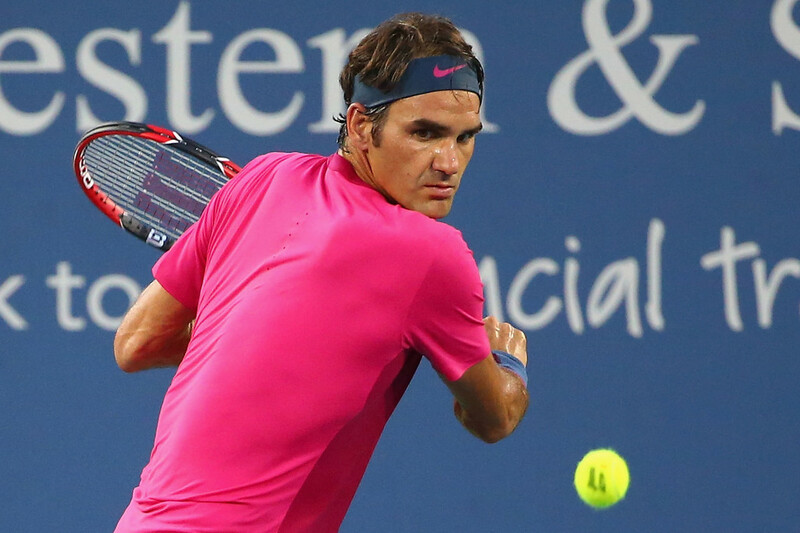 He fired six aces and 24 winners, while not facing a break point, to prevail after 69 minutes. The Swiss dropped just three points on serve in the second set, improving his Head to Head to 4-0 against the Spaniard. He was also ruthless on return, averaging 2.4 metres inside the baseline to return Bautista Agut's serve. The Basel native is making his 15th appearance in Cincinnati, bidding for his seventh title (2005, '07, '09-10, '12, '14). Last year, he defeated David Ferrer to improve to 6-0 in finals in the American city. "It was a good win for me, it can only get tougher from here. I haven't played in a long time and I felt a bit rusty at times in the first set. I need matches right now, so it was good to start well here. I'm happy I got through this first one. Now I know what it's about, " said Federer. "It's the first round of the hard court season for the next six plus months or so," said Federer. "I have things in mind to work on for the hard-court season. No. 1, you have to be fit and tough, because you can stop on a dime and move the other direction, which on other surfaces is not so easy to do. "Here in Cincy it plays pretty quick, so why not move forward a bit. You have to just pick the right times and keep your opponent off balance. I think it is a good play for me." Cincinnati is also one of six tournaments the World No. 3 has won at least six times, along with Halle (8), Dubai (7), Wimbledon (7), the ATP World Tour Finals (6) and Basel (6). He has won 38 of 46 matches played here and will seek to add yet another with a third-round meeting against Kevin Anderson or Jack Sock. Federer is 41-7 in 2015, with titles at the 250 level tournaments in Brisbane and Istanbul and the 500 level events in Dubai and Halle. He is seeking to emerge victorious at all three ATP World Tour levels for the second straight year and fourth time since 2010.